We’ve seen many financial institutions struggle with generating quality site traffic and online account openings. But it doesn’t have to be the same for you. Our conversion-centric lead generation framework differentiates itself by not only boosting your brand awareness, but also generating more account openings and real revenue for your bank. Using a comprehensive demand generation strategy that consists of SEO, Paid Search, Content and Display Marketing, we’ve nailed down a proven methodology to boost your brand awareness, attract new account openings, and encourage your current customers to engage further with your bank. The tactics we use are flexible, effective, and completely tailored to your needs. Sounds interesting? 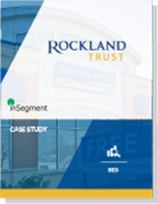 Fill out the short form to get a free case study on how we helped Rockland Trust achieve their business goals! Why settle, when you could do better? Having good site traffic is nice and all, but we can get you on Page 1 on Google for the important terms your audience is searching. Using our unique SEO methodology, we’ll drive more organic traffic to your site and help you boost your organic search rankings. We start by understanding your business and identifying the most important keywords to optimize; then we enhance your website for user and search engine friendliness through technical and content edits. Finally, we attract additional quality traffic and send relevant search engine signals to your site through off-page backlinks. We understand you’re looking for better ways to generate more conversions at a lower cost. Our team of experts is here to help you do just that. The average industry PPC conversion rate is 2.58%. inSegment’s average PPC conversion rate is over 12%! Clearly we’re doing something right. Our PPC campaigns are designed to help you attain top-of-page exposure on popular keywords with lower costs per click. We also actively adjust our campaign strategies based on your KPI targets to help you generate better cost per conversion and more conversions on your site. And that’s not all. inSegment is also a Google Premier Partner, which means you’re guaranteed only the best quality strategies and newest technologies to boost your digital marketing ROI. Are you struggling to generate enough qualified leads? Once you see that marketing to everyone is synonymous with marketing to no one, you’ll understand the power of custom, targeted content. Whether you’re looking to generate more qualified mortgage leads, business or commercial leads, we craft and promote engaging, specific content that provides relevant value to your consumers. We start by understanding the specific needs of your target audience to help you engage and drive the best possible results. 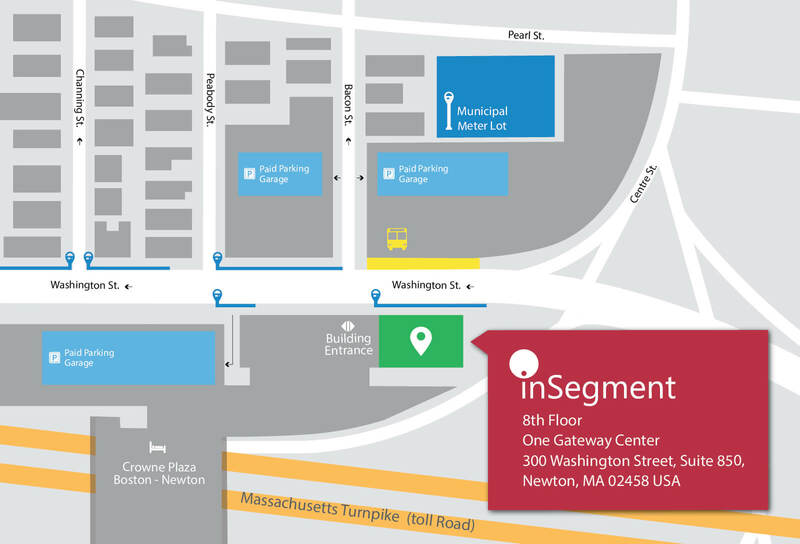 inSegment helps your financial institution stand out to relevant consumers by optimizing engagement across different channels with branded, customized content. We help you build a compelling digital presence and reach potential clients through segmented messaging. Our holistic approach to content marketing will help boost your brand’s reputation, attracting new consumers and driving direct conversions. Having great content doesn’t cut it anymore. You also need to able to deliver the right content to the right audience. Our innovative approach to digital display marketing helps you increase your brand awareness and communicate your financial brand’s key selling points to your target customer. Partner with us and take advantage of our programmatic DSP, which allows us to leverage 1st and 3rd party data targeting to give you greater brand exposure, a more accurate reach, and ultimately a more efficient digital campaign. Make your content available to the right audience. Make your content reign.